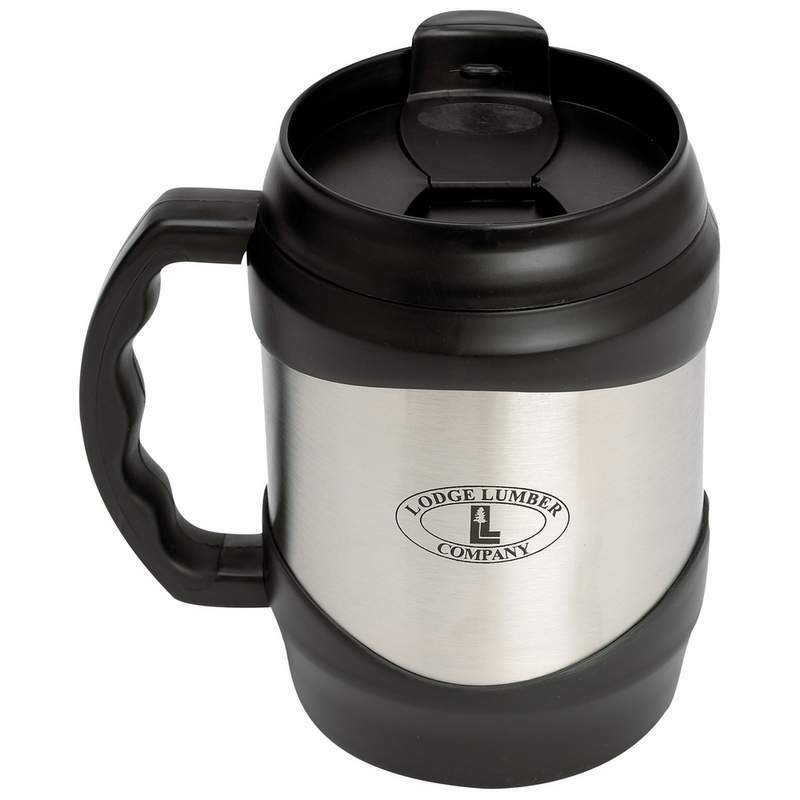 52oz Stainless Steel Oversized Mug features plastic liner, screw top, flipper opening, and sure-grip handle. Stands 7-3/4" tall, 5" in diameter. Limited lifetime warranty. White box.